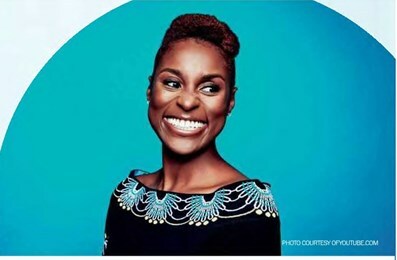 NEW YORK (AP) – Issa Rae’s character on the hit series “Insecure,” who works for a nonprofit, does what most people in need of extra cash do: She becomes a Lyft driver. But the idea of making the show’s lead character a part-time driver came from Rae’s own experience: The actress said she applied to become a Lyft driver and was rejected. Rae had applied to drive for Lyft when she had driven to Malibu last year to write the first episode of season two of “Insecure.” She said she filled up the rental car with gas and had extra, and wanted to make use of it. Season three, which returns Sunday on HBO (10:30 p.m. ET), picks up with Rae moving in with her ex, Daniel, and dealing with not being in the field for her full-time job because of a mistake she made. The 33-yearold, who earned her first Emmy nomination this year for her leading role in the show she created, explains how Jay Ellis reacted to not being a part of season three, the fashion statements she’s made and appearing in Drake’s “Nice for What” video. “This season was harder – just because we closed so many doors last season. It felt like we were starting from scratch in a way,” Rae said. “When you get into a third season show you kind of feel like you know it. And even as writers you get a bit complacent like, `We know this (stuff), we know what we’re doing. We know who these people are. We got formula.’ And that’s what you never want.” She spent six months writing the episodes and three months filming. It all started with a retreat that she and executive producer Prentice Penny went on to discuss their thoughts for the season. “It is scary,” she said of adding new elements to the show and switching it up, “because you’re like, ‘People are used to what they’re used to.”’ “But knowing where we took it overall, I’m very proud of it,” she added. Most of the headlines surrounding the return of “Insecure” were about how Jay Ellis’ character, Lawrence, would no longer be on the show. But how did Ellis take the news when Rae delivered it? “It was just a phone call. He took it really well,” she said. “If you’re predicting the show, then we’re not doing our job,” she said.